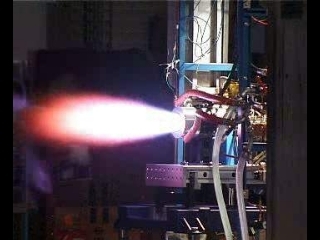 First firing with the regenerativly cooled 2.5 kN LOX/Ethanol engine! In an ongoing partnership of SPL with FHBB it was decided, that a next step will be the design of a small, low cost turbopump. 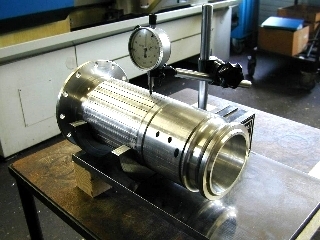 The project starts with a radial inflow turbine derived from a automotive turbo charger. SPL thanks FHBB, Prof. Dr. Peter von Böckh and the two students for the great teamwork! 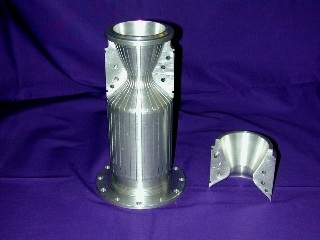 Parts of the boilerplate combustion chamber. The chamber is designed to be fully demountable to test various configurations. This is also important to inspect the liner and its cooling channels after test runs. The outer shell is heavy walled to withstand a unexpected disassembly of the inner liner. The inner liner with the milled cooling channels. One of the two halves of the throat closeout has been removed. The closeout mates very precisely with the liner to prevent any bypass flow in the throat area. The temperatures in the cooling channels are measured by thermocouples of 0.5mm diameter that are mounted through small openings in the outer shell and in the closeout. 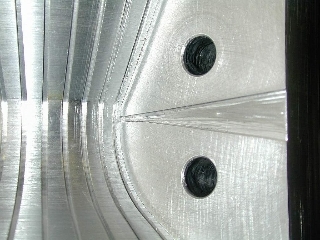 The inner liner during the milling process of the cooling channels on a 5 axis NC milling maschine. 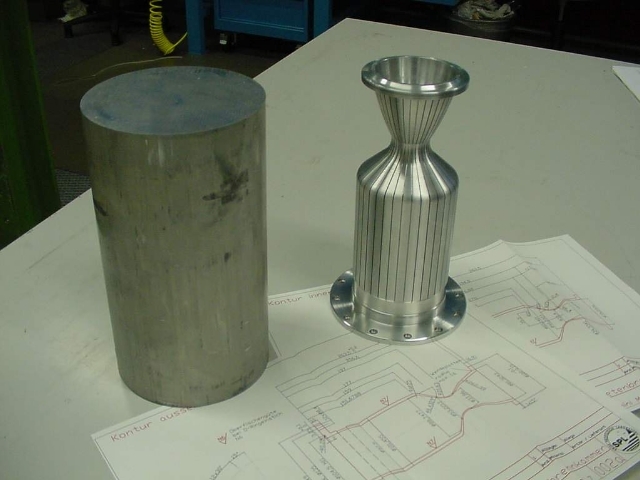 The aluminium blank on the left and the finished liner on the right. The finished part has lost about 95% of weight. There were also made liners with different configurations of cooling channels. 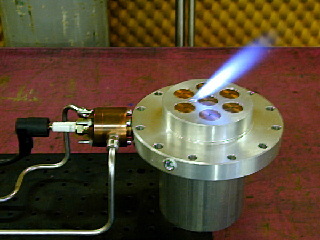 The torch igniter (see also news entry from 3. March 2001) fires through the injector plate of the 4 kN LOX/HC engine. On the left: the attached copper case of the torch igniter with the spark plug.A more detailed view of the injector plate can be seen on the right and below . 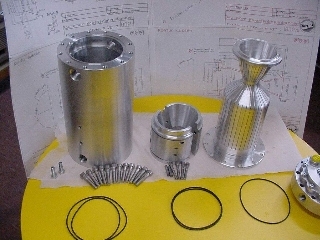 The modular injector plate with the inserted injector elements as used in the LOX/ethanol boilerplate engine. 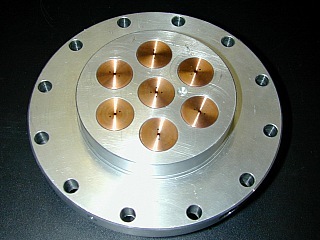 The element in the center is a Pentad surrounded by six Triplet injector elements. The elements are made of a Copper/Chromium/Zirconium alloy. A look through a microscope on the central Pentad. The holes were made by a special deep-hole drilling process to get very smooth holes and a perfect alignment. Note also the sharp edges and the absence of any burr. 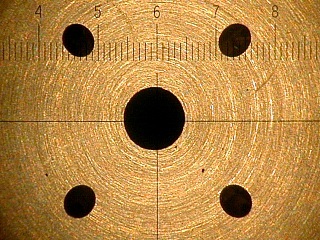 The piece is showed as drilled, no additional treatment was made. 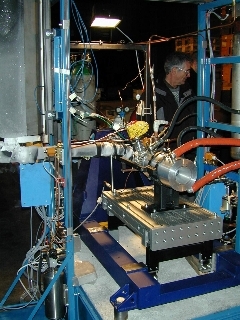 The LOX-valve as designated on the test stand. The assembly is insulated, the extended shaft and actuator is heated to prevent them from icing. The picture shows a test run under rel. 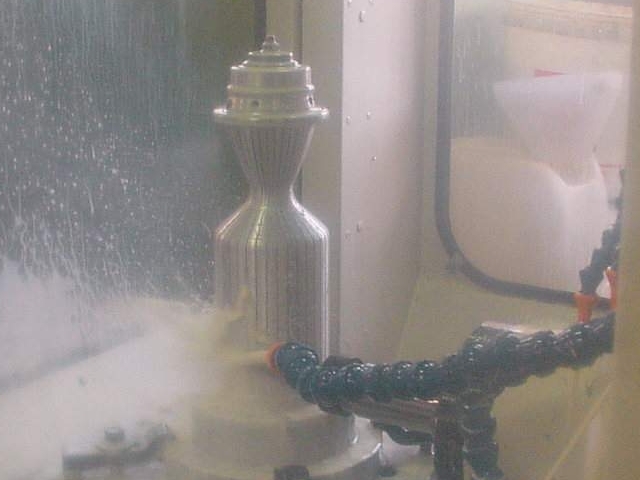 low chamber pressure (o.6 MPa) using LOX/ethanol at an O/F of 1.3. In this test, the injector was equipped with only 3 injector elements (see 1st September 02 and 11th March 02) . Tests with full chamber pressure of 2.5 MPa will be conducted as soon as we have finished the muffler system. 4 min hires Realmedia movie of the event (7.3 Mb) . 4 min lowres Realmedia movie of the event (2.6 Mb) . An overview of the test setup. 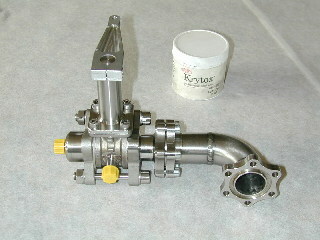 One can clearly see the frozen LOX line and LOX valve, the regen. chamber with it's feeding lines, the torch igniter and several thermocouples. The LOX tank is on the top left. A closeup of the cooling channles near the throat. A tapered channel is milled into the throat closeout to have access for small thermocouples. This allows the meassure of local temperature of the coolant fluid. Post firing inspection of the liner deformations due to thermal shocks. Up to now the liner stayed within the limits.